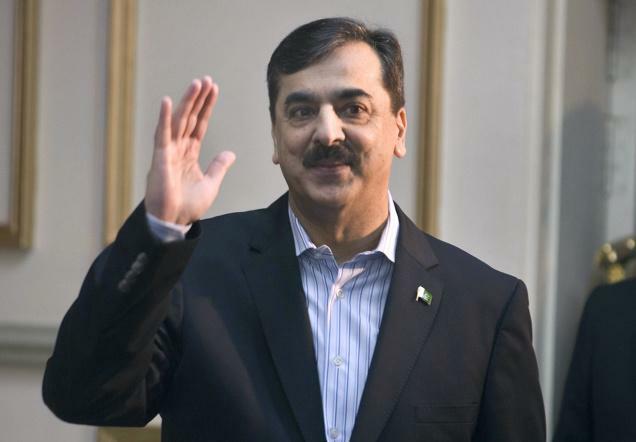 RAWALPINDI: The National Accountability Bureau (NAB) has filed a corruption reference against former prime minister Yousaf Raza Gilani, former principal information officer (PIO) Muhammad Saleem, former information secretary Farooq Awan and others for running an illegal publicity campaign and inflicting a loss of Rs128 million to the national exchequer. Others accused in the case are former Universal Services Fund (USF) CEO Riaz Asher Siddiqui, former of Midas Inam Akbar and Muhammad Hanif. As per details, former PM Gilani directed to run a media campaign for highlighting the achievements of USF. Former secretary Farooq Awan misused his authority in the award of illegal publicity campaign through Midas Pvt Ltd against rules and attempted to cause loss to national exchequer. The accused persons in connivance with each other caused a loss to the national exchequer to the tune of Rs128 million approximately. NAB Chairman Javed Iqbal presided over an executive board session, in which he gave approval for inquiry for 14 different cases. The session also approved the filing of reference against Vice-Chancellor Abdulwali Khan University Dr Ahsan Ali and former KP minister Nawabzada Mahmood Zeb. NAB also approved the filing of reference against former Balochistan food minister Izhar Hussain.